The Friday ruling from Texas U.S. District Judge Reed O'Connor likely won't take effect while the case enters a lengthy appeals process. But the decision ensures health care, specifically Medicaid, will stay in focus during one of the nation's three governor's races next year. "The ruling would devastate Kentucky, it would devastate our families and I will not let it stand," Kentucky Attorney General Andy Beshear told reporters Monday. The ruling stems from a lawsuit challenging the health law filed by a group of 18 state attorneys general, led by Ken Paxton of Texas. Republican President Donald Trump's administration declined to defend the law in court, so a different group of 17 state attorneys general have been defending the law instead. That group includes Beshear, but has been led by California Attorney General Xavier Becerra. "What you are going to see is Kentucky as vocal, if not more vocal, than any other state that is in (the litigation)," Beshear said. Becerra called Beshear "a critical partner in our multistate coalition, who knows firsthand how essential preserving the ACA is for states like Kentucky." Former President Barack Obama signed the Affordable Care Act into law in 2010. Beshear's father, former Gov. Steve Beshear, used an executive order to expand Kentucky's Medicaid program under the law. That order swelled Kentucky's Medicaid rolls by more than 400,000 people, giving Kentucky one of the largest gains in insurance coverage in the country. But the influx was far more than state officials had predicted, putting a strain on the state budget. Kentucky Republican Gov. Matt Bevin, who has said he will seek a second term, was the first governor in the country to get permission from the federal government to require some Medicaid recipients to get a job, go to school or do volunteer work to keep their benefits. Those new rules are scheduled to take effect in April, and they include exceptions for people who are "medically frail," pregnant women, former foster care youth, survivors of domestic violence and primary caregivers of children and the elderly. Bevin's has said his proposed changes to the system are designed to get people off Medicaid and onto private insurance plans. But critics worry the plan will cause people to lose coverage. Beshear has vowed to eliminate those rules "on day one" if he is elected. Monday, Bevin told radio host Leland Conway he thinks the Affordable Care Act was unconstitutional from the start, adding court rulings in recent years have made things more complicated. He dismissed Beshear's efforts to appeal the most recent court ruling, saying everything Beshear does is for political reasons. Beshear scoffed at that, saying: "This is my job." "This isn't about any election. This is about future health care coverage for 1.3 million Kentuckians," Beshear said, citing the total Kentucky Medicaid population. "That is bigger than any election." Kentucky Attorney General Andy Beshear says he will donate more than $14,000 from his 2015 campaign account to compensate for contributions associated with a former top aide who admitted to taking bribes. Beshear, a Democrat, promised to donate the funds more than two years ago, but said he was waiting for campaign finance officials to complete a routine audit of his account. 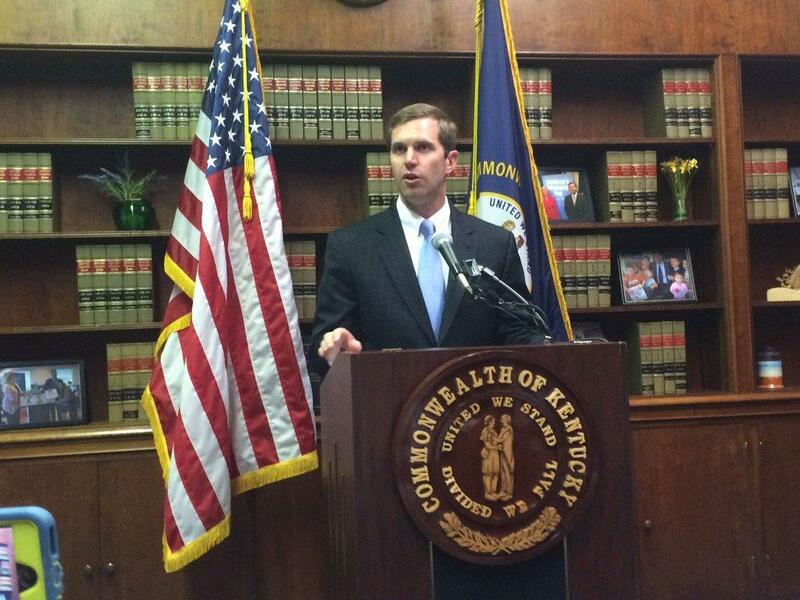 Attorney General Andy Beshear has filed a lawsuit against another painkiller manufacturer, saying that the company fueled Kentucky’s drug epidemic through aggressive marketing and fraud. The suit claims that Arizona-based Insys Therapeutics gave kickbacks to doctors who prescribed its products and used fraudulent tactics to get more people prescribed, including falsifying medical histories. Beshear said the company’s fentanyl-based mouth spray Subsys was only approved for cancer patients but the company aggressively marketed the pain medication to get more patients prescribed. The pension changes were passed during this year’s legislative session amid massive protests and were blocked by a lower court, which ruled that lawmakers violated the state constitution by rushing the bill to passage during a matter of hours. Teachers got a lot of love from speakers during the Fancy Farm political speaking event. The comment is a dig at Gov. Bevin, who has made several inflammatory statements about teachers, including a claim that teachers left their students vulnerable to sexual assault and drug abuse by protesting in Frankfort earlier this year. The Kentucky Supreme Court on Thursday struck down a law that made changes to one of the country’s worst-funded public pension systems. The state’s Democratic attorney general called it a "landmark win for all our public servants" while the Republican governor warned the ruling would "destroy the financial condition of Kentucky." In a 7-0 decision, justices found that me manner in which the General Assembly passed pension reform legislation this year violated the state Constitution. 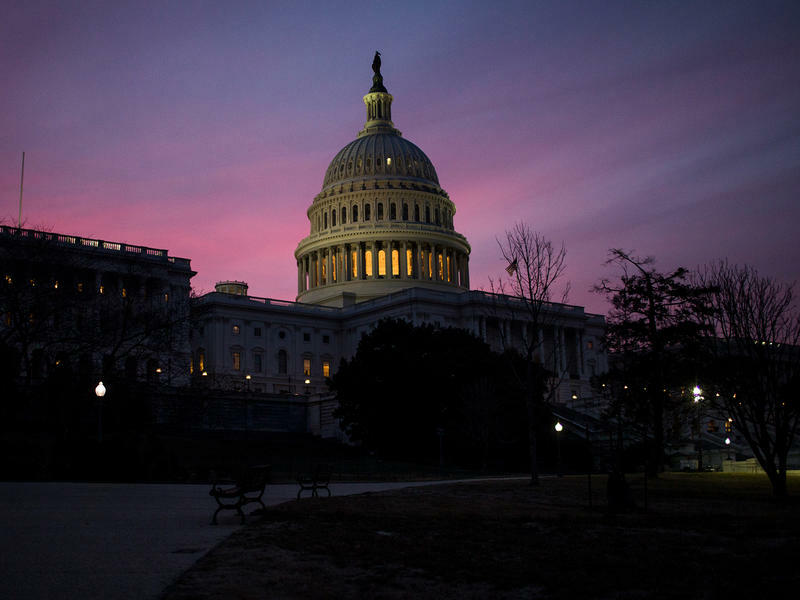 Although the GOP repeal-and-replace mantra seems to have quieted, some Republican lawmakers continue efforts to get around the sweeping federal health law's requirements. Sometimes that happens in surprising places. Like the farm bill. If 2017 was the year of endless Obamacare debates, 2018 could be the year when we see the effects on people who need health care the most. Some health experts in the Ohio Valley are concerned that the “forgotten” folks in rural America could lose access to basic health care as efforts continue to weaken the Affordable Care Act. The countdown is on as Americans approach the Dec. 15 deadline to enroll in a health care plan under the Affordable Care Act, or Obamacare. Even with all the political debate over health care, enrollments appear to be going smoothly so far in south central Kentucky. There is some good news about health care enrollments in the 10 counties served by Community Action of Southern Kentucky. Melissa Grimes is the organization’s manager for the Kentucky Health Benefit Exchange. She said many people who were worried about the cost of health insurance are breathing a sigh of relief. Americans have until Dec. 15 to sign up for health insurance under the Affordable Care Act and residents in Kentucky’s Green River area are coming out to enroll in high numbers. One local expert says uncertainty over the future of health care is a big reason why. Many Americans, and many Kentucky residents, are unsure of what their options are for health insurance because of the national controversy over Obamacare, and some incorrect reports that it has collapsed. Healthcare has emerged as a pivotal issue in midterm Congressional races across the Ohio Valley, with extra attention on those people who have what are known as “pre-existing” health conditions. Mary Meehan reports on what’s at stake.